Australia wide - 18 profile(s). Mornings from 5:30 Location: Doncaster (Aquarena). Available most nights and weekends. I would like to join Any type of sport! So many to choose from the drop down box. I will say I’m a beginner in all sports currently as I haven’t been in a team environment since high school roughly 10years ago. I live in Floreat, therefore north of the river is ideal. Please give me a holla on 0457260893 if you want someone on your team. Looking forward to hearing from someone. I’m Available after work 5pm onwards for sports and have Sunday/Monday off, also do half day Saturday. Hi, I'm looking for a gym partner/buddy to train together at the gym I'm Asian 22/F Derrimut gym is preferred Females is preferred I'm a quiet person, not talkative and unfit so hopefully we can motivate each other to get those nice abs and big booty for summer! Once I gain a good fitness level I'd like to join a sports club in the future as well Thanks! 3x Olympia Champion looking for a spotter 3 times a day. I work split shifts so I am pretty flexible. I am a motivated personal trainer who has over 8 years experience in weightloss, sports performance, strength, injury rehab assistance and group fitness. I am looking for people to train with or and train in the Docklands and CBD. My rates are quite reasonable, I am fun to workout with, driven and guarantee results. 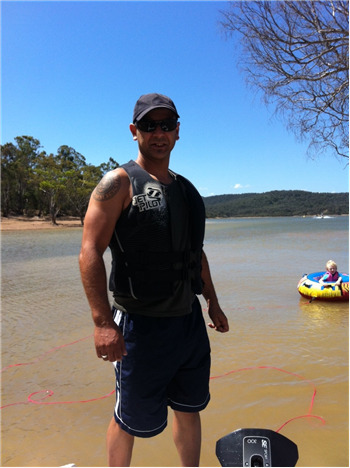 I have worked with AFL players, elite sports people and the novice with remarkable results.